Based in Norwich, TaylorMade TV & Audio Ltd provides specialist audio visual equipment and installations to schools, businesses and homes. 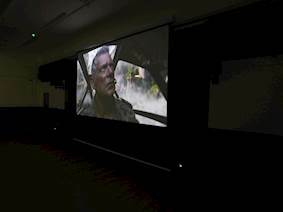 Challenge: As part of a wider refurbishment of its large hall, RAF Honington appointed TaylorMade TV & Audio Ltd to install a cinema for the base. Solution: Optoma’s 6,000-lumen laser phosphor projector, the ZU650, was installed with a standard lens to project onto a four metre-wide screen together with an ONKYO-TXRZ800 AV receiver and EV EKX-12 and EV ELX 118P speakers. RAF Honington appointed TaylorMade TV & Audio Ltd to overhaul its tired old hall and turn this into a cinema for the base. Located between Thetford and Bury St Edmunds in Norfolk, RAF Honington has been a military base for almost 80 years since it opened in 1937 as one of six operational airfields within No 3 Group Bomber Command. Recreational facilities on the base are vitally important as this is where troops recuperate between military operations. 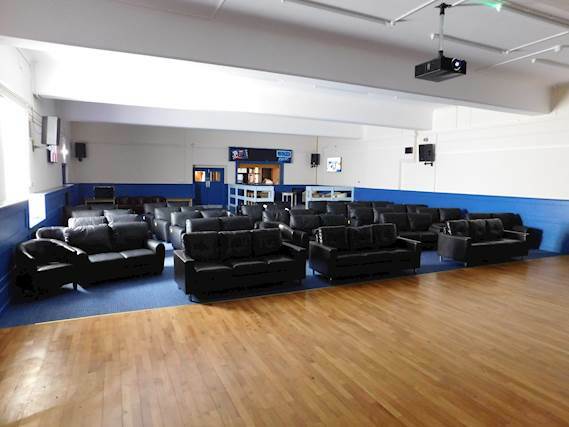 The AV installation was part of a wider refurbishment of the large hall and would provide cinema facilities for the service men and women with the capability to also hold presentations and even open mic nights. 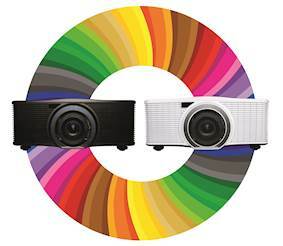 As picture and sound quality were paramount for the installation, the Norwich-based AV experts chose Optoma’s new 6,000-lumen laser phosphor projector, the ZU650. This high brightness WUXGA resolution ProScene model with 2,000,000:1 dynamic contrast provides 20,000 hours of impressive, virtually maintenance-free operation without the need for lamp or filter replacements. As well as inaccessible placements, the laser projector is also ideal for quieter environments, smaller rooms or those with low ceilings due to the fact it has no lamp – so needs less cooling. The ZU650 was installed with a standard lens to project onto a four metre-wide screen. The speakers installed were EV EKX-12 with two EV ELX 118P active subwoofers for that cinema punch. 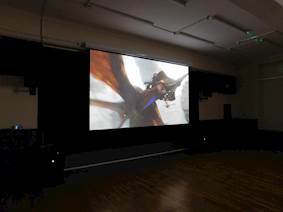 Stephen Taylor, Director of TaylorMade TV & Audio, said: “This was no normal cinema installation. The pre amped 5.2 channels with mixed microphone and audio give a whopping 4,200 watts of cinema and venue sound. “And, with the exceptional brightness and a razor sharp image from the laser projector, we were extremely happy with the picture results.